1 Week to The Liturgist Podcast! 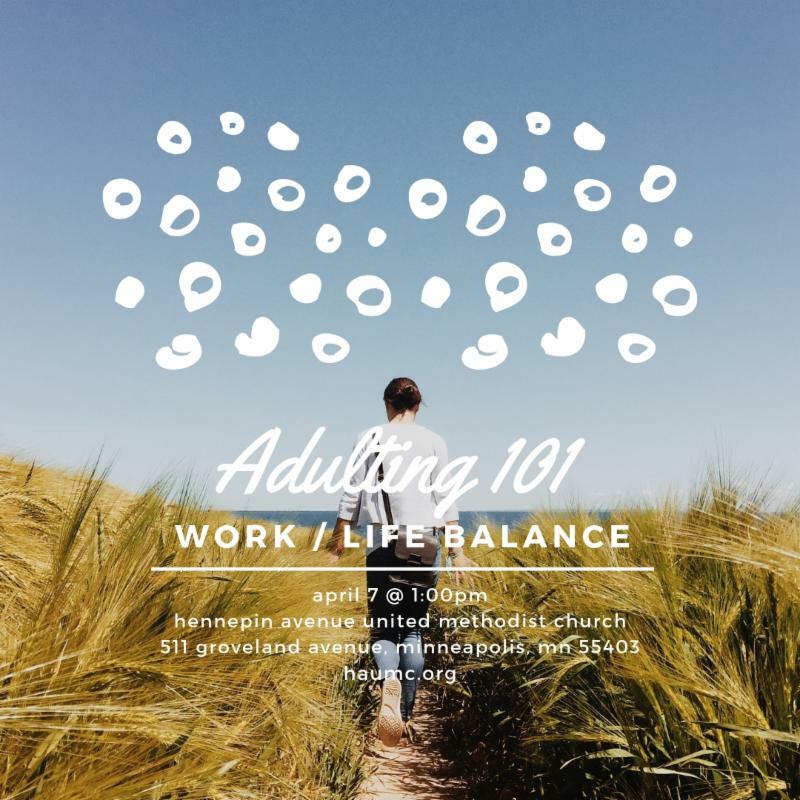 Adulting 101 keeps chugging along and the Men's Retreat is right around the corner! This weekend, I have the pleasure of spending 24 hours at Koinonia Retreat Center with 35 men from our church who want to meet fellow men of different generations and do some intentional reflection on their purpose in life. It's not too late to sign up, and I hope you'll join us for a refreshing retreat! Adulting 101 was such a fun hit on Sunday afternoon! Our group of 13 spent two hours laughing and looking out for one another as we tried several improv games and exercises to relate them to better mental health. It's exactly what we needed before we gather at the Thanksgiving table with relatives we may not always necessarily see eye to eye with. 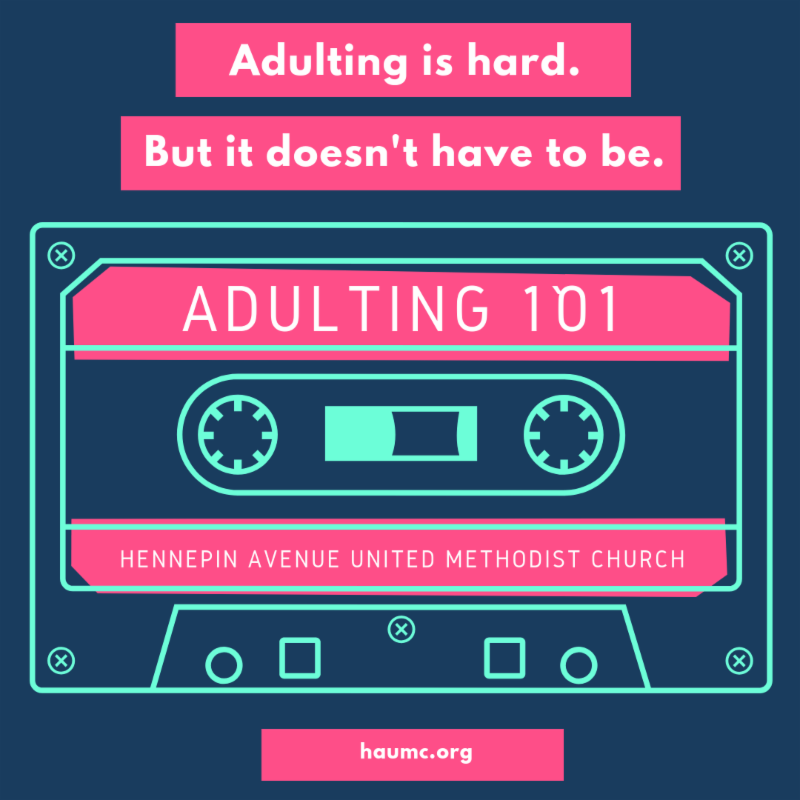 We've added details on Adulting 101 classes through May, take a look. 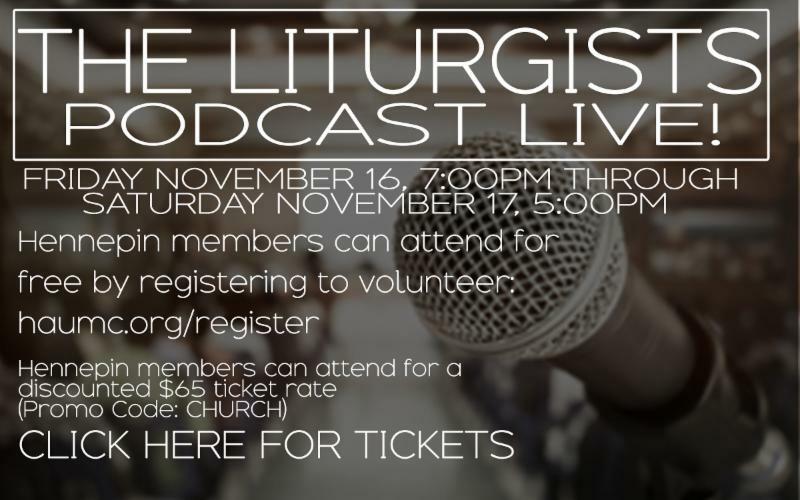 I can't tell you how thrilled I am to have The Liturgist Podcast coming to Hennepin. This nationally-known podcast is coming out from LA to record live podcasts and hold a series of workshops and listening sessions with the audience of 500 and counting. Take a listen to some sample podcasts and I hope you'll sign up for a great experience, Nov. 16-17. MVP Mentorships are just about ready. We were hoping for a November launch and have found it's taking a little more logistics work to get it going, so we're aiming for the top of 2019. Are you ready? 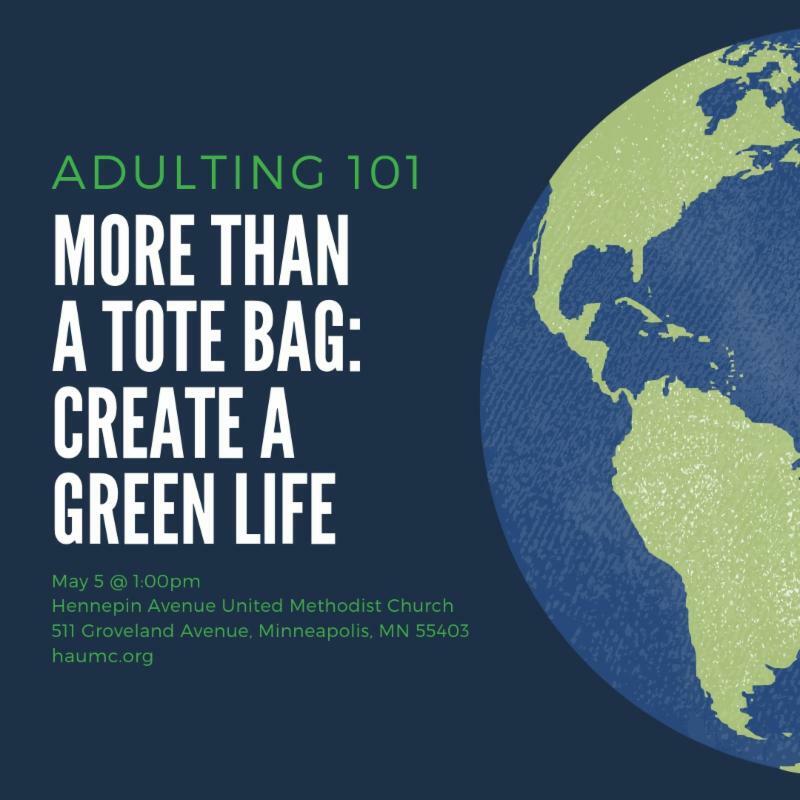 We have a group of adults who are ~50+ who are ready to be paired with a young adult in their 20s or 30s to meet throughout the year to build a connection, share wisdom, and do some mutual growth together. We'll have an Enneagram workshop (Have you done this yet? So good!). You're going to dig this! P.S. Scroll down to see photos from Adulting 101: Improv & Mental Health. May you feel the Holy Spirit! 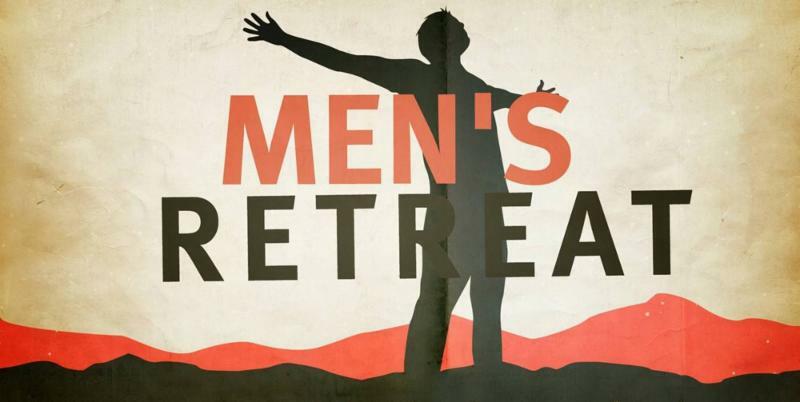 Last Call for the Men's Retreat this weekend! $25 Saturday-only option, and scholarships available. 36 men and counting are traveling to Koinonia Retreat Center for a 24-hour retreat focused on seeking our purpose and building our relationships. Meet men from different generations for conversation, workshops, Pub Theology, worship, and a time apart in the crisp fall air of nature. SIGN UP BY THE END OF THE DAY ON FRIDAY! If you haven't heard The Liturgist Podcast yet, now is the time. 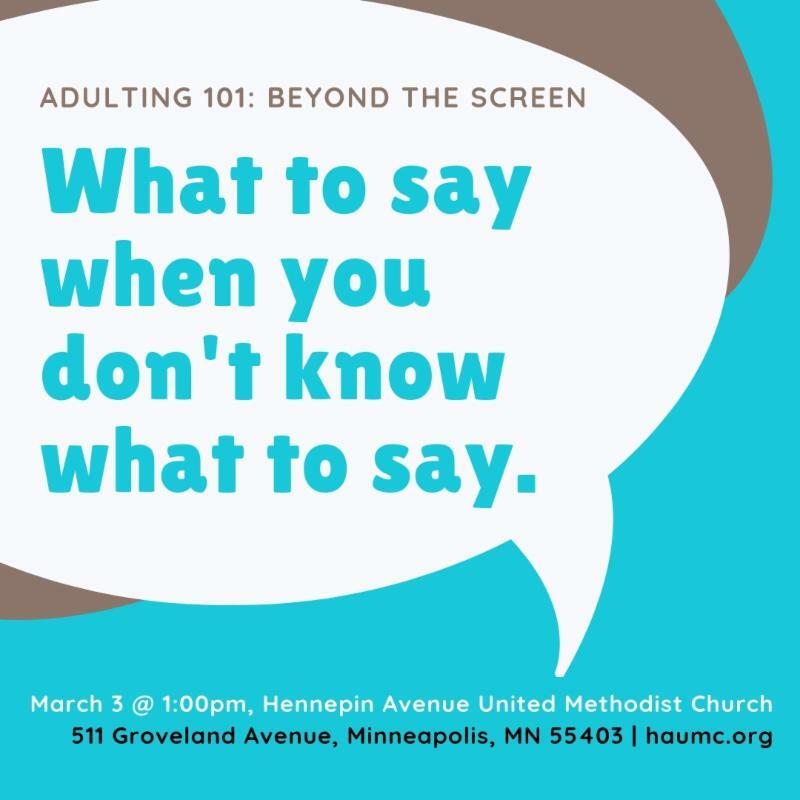 This weekly podcast hosted by a "Science Mike" McHargue and a 3-person panel of friends whose careers include science, psychology, music, and art, will record live at Hennepin. They take a topic and run with it through both monologues and group dialogue. We're blessed to have them live in our church this November for a 2-day event and Hennepin members and friends can get discount tickets or attend for free by volunteering. Improv & Mental Health this Sunday! Are you tired of wanting things to be different but not sure where to start? Still figuring out what it means to make a difference? It's time to get active at the level you're prepared to try. 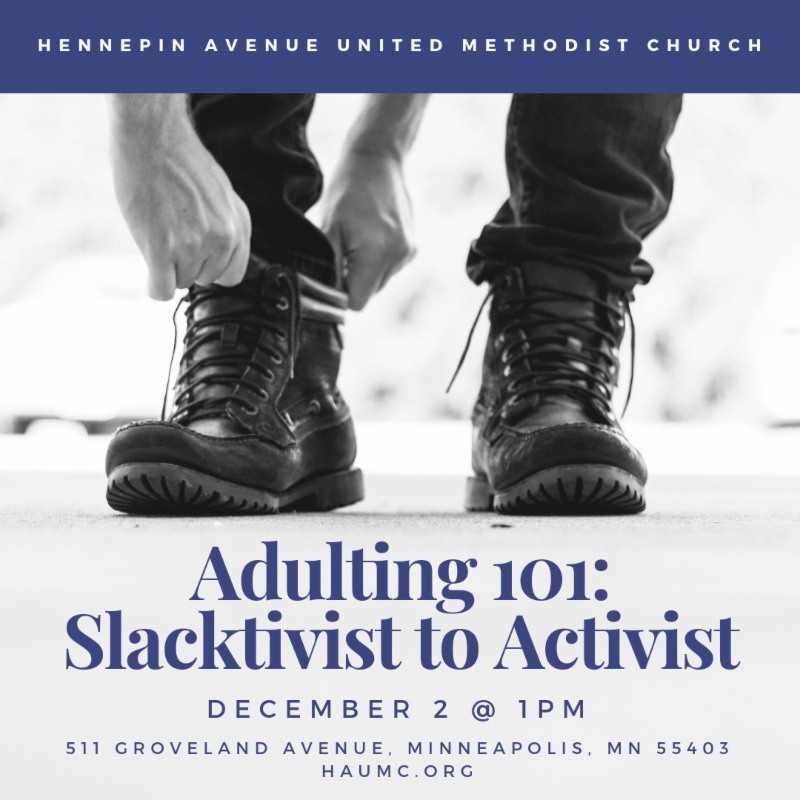 Come and hear from local activists and experts on how to get involved and engaged in the movements that matter to you. RSVPs are helpful but not necessary. You can control your money or your money can control you. 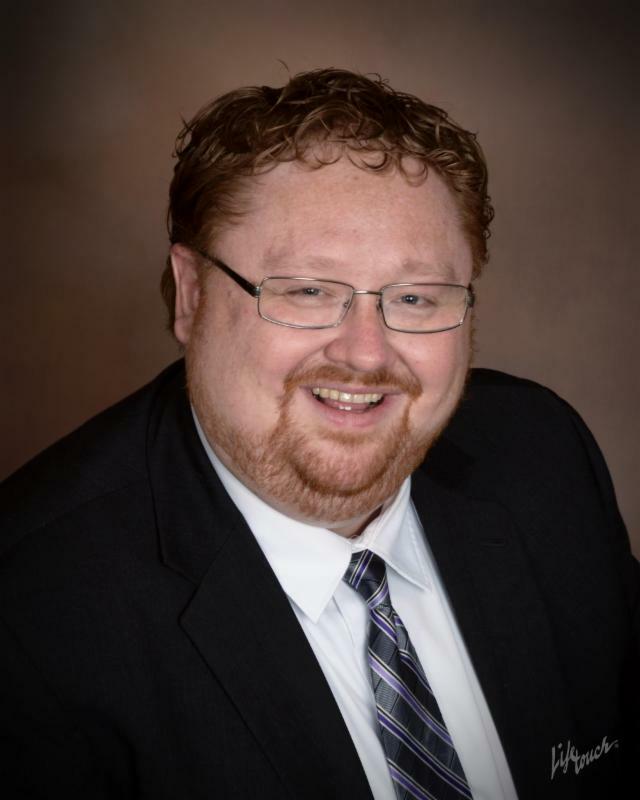 Take charge in this seminar led by Paul Christopher (Thrivent Financial) meant to help you think intentionally about how you acquire your money, how you regard it, how you manage it, and how you spend it. 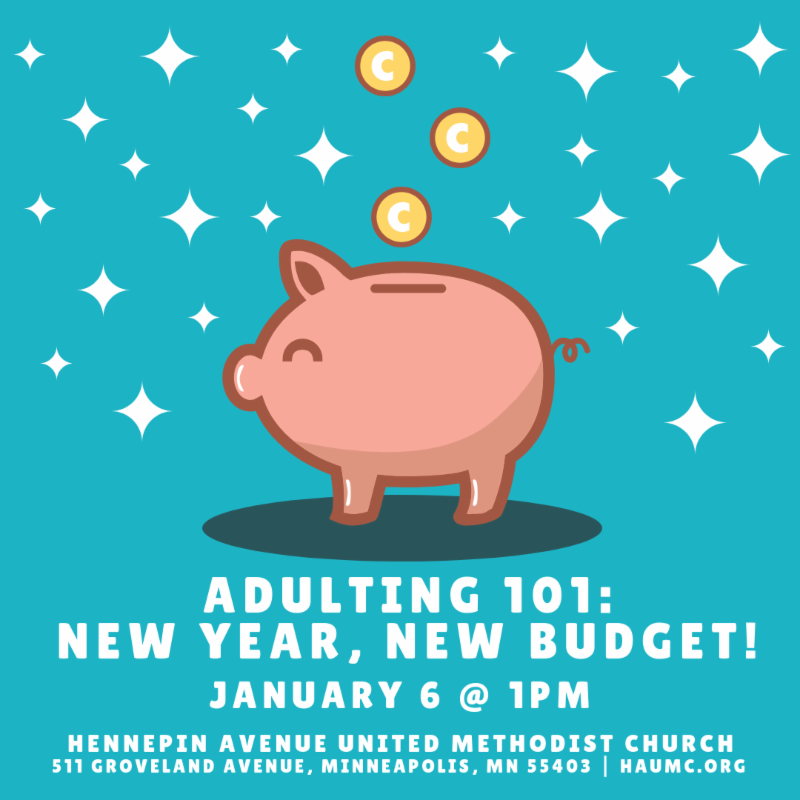 Embrace new fiscal habits while the new year is fresh in your mind! Personal Branding is the way you “show up" and the way you “market yourself” to others. The "snapshots" people have of you when they interact with you become attached to your personal brand. 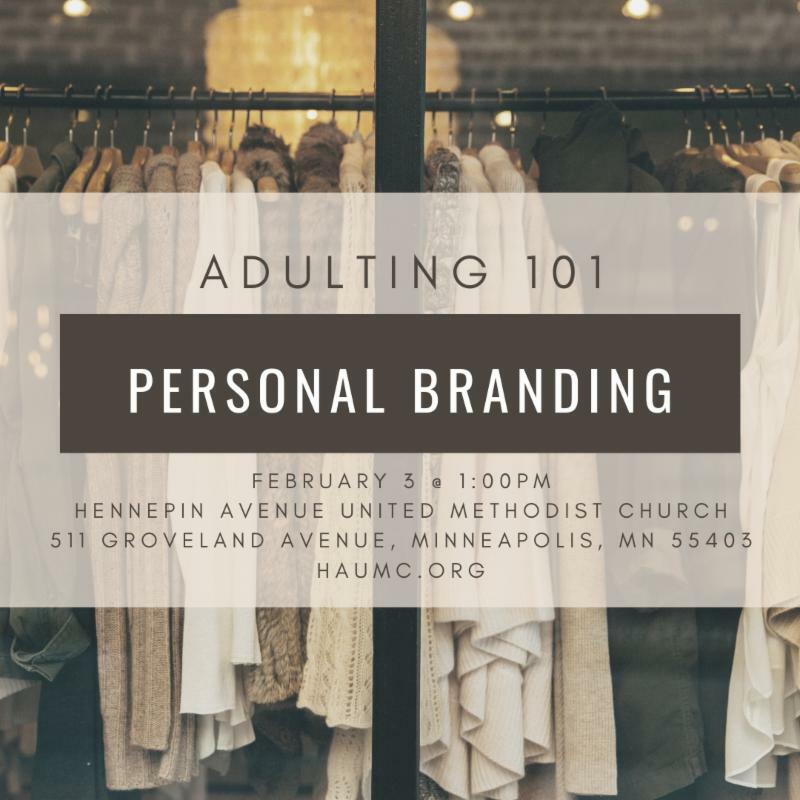 Life coach Bill Lewis leads this workshop focused on building your personal brand with intentionality as you put yourself out there for jobs and networking. A panel of clinical psychologists, chaplains, and people who have experienced trauma come together to help you discover the words to say and the sentiment to rely on when those around you are hurting. Fact: if your Facebook friend makes a vulnerable post and you don't know what to say so you scroll on, it tells Facebook to hide those kinds of posts and that friend loses an outlet for support. We can do better together! If you're running all day, overbooked on your calendar, finding yourself forgetting where you're driving to, remember: the pace of life has not slowed down. It's getting faster. However, you can take the margins that exist between yourself and your limits and seize control. Life coach Bill Lewis leads this workshop to help you discover the tools and techniques to bring you peace in your work/life balance. Hear from an expert panel on simple, practical solutions for living a green life. Be mindful of your role in making your planet a better place for everyone. Resist the urge to do nothing in the face of so much to do and get active in your personal life to take care of the environment and change climate for the better. 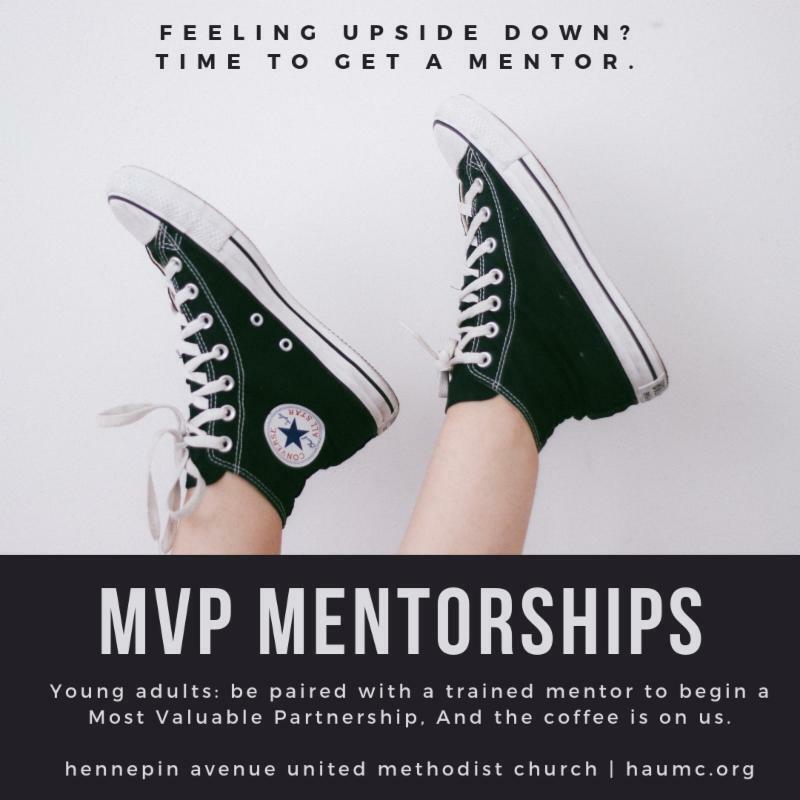 We are thrilled to say we have a small handful of adults who are 45+ who are ready to enter a Most Valuable Partnership mentorship with a young adult in their 20s or 30s like YOU! We have a professional trainer coming in to get us ready for a great relationship, we'll have a FREE Enneagram workshop in 2019, and every time you meet together, the coffee is on us! Contact Pastor Nate and sign up today! 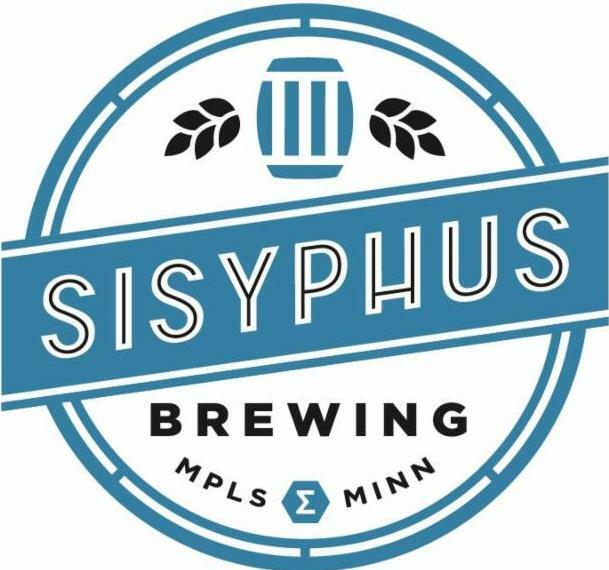 Sisyphus Brewing | 712 Ontario Ave. W.
Now in its 5th year, Pub Theology has moved to 3rd Wednesdays of the month! Experience this key entry point for young adults in the life of the church! 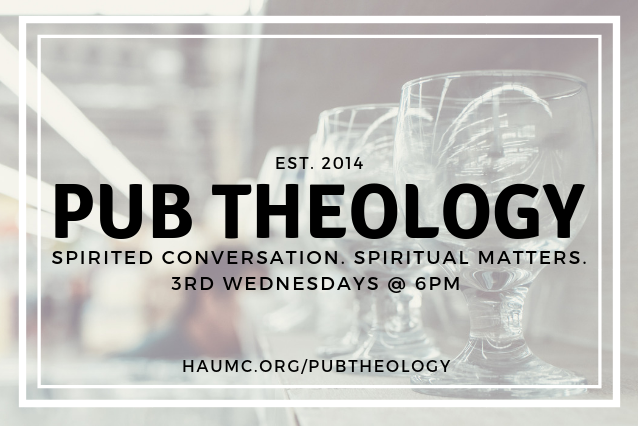 Open to everyone 21+, this gathering is filled spirited conversation about faith, world events, and and life - all fueled by the tasty beverage of your choice. RSVPs are helpful. Learn more online .